Through the glass, into the workshop at the National Music Centre in Calgary this past summer. 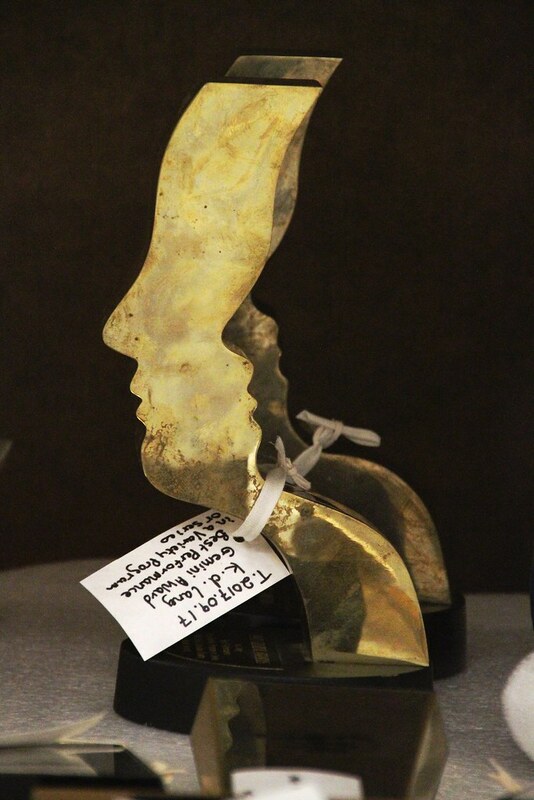 This Gemini Award was one of many pieces belonging to Canadian singer k.d. lang being worked on at the time.